Student loan debt is terrifying. You left for school with the best of intentions. You worked your tail off for four years and got a degree. You throw your cap into the air in celebration, and by the time it lands, you have a bill for $29,400. When dollar amounts are that high, it's difficult to make them seem real. 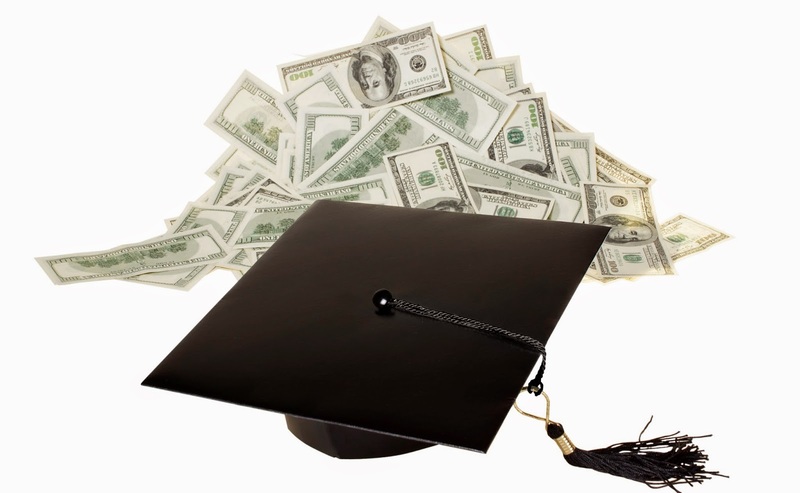 As a recent grad, you have all kinds of financial obligations. It's easy to let those student loan notices pile up and focus on furnishing a household, buying a fancy car or starting your adult life. That's the path many young adults are taking. According to the Department of Education, only 56% of student loan borrowers are repaying their loans. This is a problem that's going to get worse before it gets better. A study in the Wall Street Journal estimates that the debt load is going to increase by 6% per year. Getting out of debt is always an instrumental good. People don't pay off their loans for the fun of it; they do so to get earlier or better access to something else they want. For Kumok, it was about her relationship. She was getting married and didn't want to burden her new husband with her debts. She knew that the number one cause of fights between married couples is money, and she didn't want hers to start off on a bad foot. Finding a motivation is central to making the debt-free project work. Getting rid of your debt will be expensive and it can be easy to think of the opportunity costs to repayment. With that $30,000, you could buy a luxury car. You could spend a month in Europe. You could buy five expensive coffee drinks every day for a year. If you don't have a goal, that's all you'll see when you write checks to the loan company every month. Getting motivated to reduce debt will help you avoid the temptation to cheat on your budget. There are as many motivations as there are graduates. Maybe you want to get debt free to reduce your stress. Maybe you need to boost your credit score before buying a house or car. Maybe you want to reduce your debt so you can start saving for retirement. Finding and focusing on a motivation to get out of debt can make sticking to a debt-free plan easier. Kunok was taking home about $2,500 per month and only had about $300 to go toward paying off her loans. She was working difficult shifts and forced to travel most weekends to see her fiancé. She took a chance and applied for a job with more regular hours. Kunok caught a bit of a break by finding work in the city where her fiancé lives. This meant they could move in together, saving money on rent, utilities and transportation. They also found another roommate, allowing them to further split the costs of living. She translated those cost savings directly into a higher loan repayment and was able to quadruple her payment. The biggest areas of expense in your budget are likely rent and transportation. Taking big steps, like getting a roommate, moving closer to your job or using public transportation will make big dents in your budget. Saving a few dollars by switching to store brands can help, but you won't see real progress that way. Live like you're still in college for a few more years. Eat ramen noodles, share a 10x10 space with another person, and call Chinese takeout and a DVD from the library a romantic dinner date. Defer these savings onto your loan repayment process. 3.) Don't forget to budget for fun! A budget of pure austerity is one you're not likely to stick with long-term. Constant denial and deprivation can really tax your willpower. You can build in some money for relaxation and rest. Kunok and her fiancé put aside a little money for a few vacations. They set a budget and got away for a while. Kunok admits it was a little hard to relax, but the time away from work was great for them both. Make sure you put room in your budget for little indulgences. Whether it's travel, dining out or a hobby, you need to take care of yourself. It can be difficult to commit to unwinding if you're staring down several thousand dollars in debt. However, taking care of yourself will save you more in the long run. Budgeting for your fun can be a way to ensure you enjoy it. If your luxury money gets eaten up by tiny bits, like a candy bar here or a cocktail there, you're less likely to mindfully enjoy it. If you save and plan, though, you will be more cognizant of the experience and more likely to remember it. If you're looking for help with your student loan situation, contact Destinations Credit Union. We have activities designed to help you budget, save, and plan for retirement. Call, click, or stop by Destinations Credit Union today!